One of the two YBCO coils used in the world-record 32-tesla all-superconducting magnet. Stephen Bilenky. 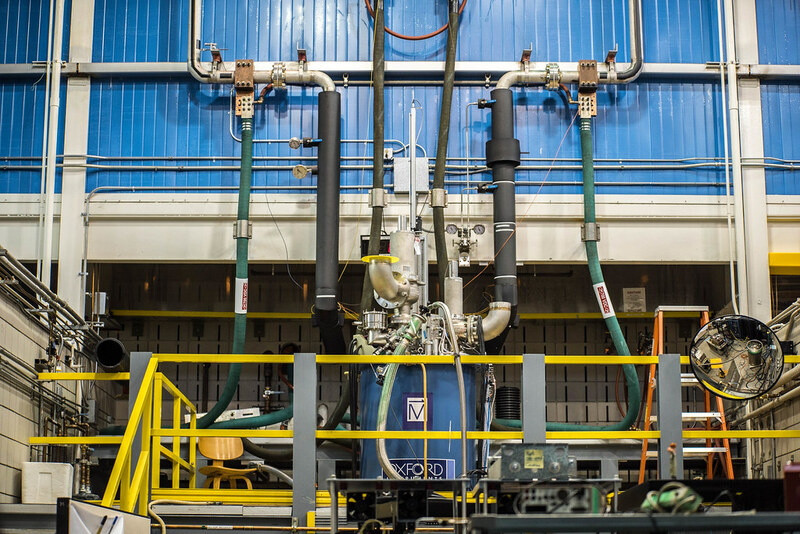 Made with high-temperature superconductors, the National MagLab's newest instrument shatters a world record and opens new frontiers in science. 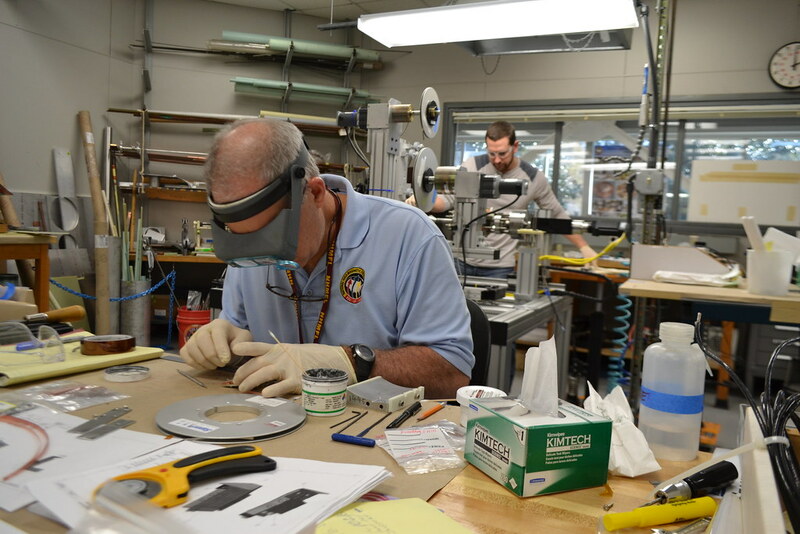 TALLAHASSEE, Fla. — Long in the habit of smashing records, the National MagLab just chalked up a new one. 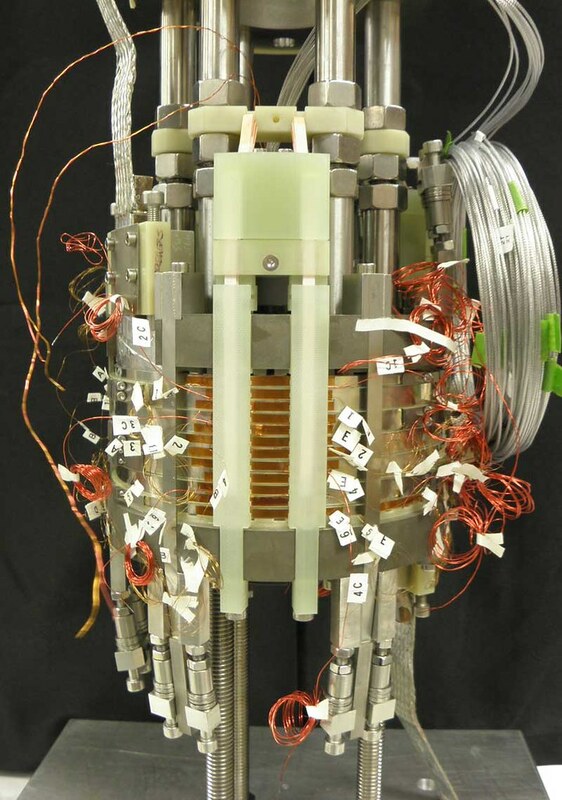 On Dec. 8, a ground-breaking superconducting magnet designed and built at the lab reached a magnetic field of 32 teslas (a unit of magnetic field strength), a third stronger than the previous record and more than 3,000 times stronger than a small refrigerator magnet. The feat is important for the new scientific discoveries it will enable and the even stronger superconducting magnets its technology foreshadows. Made of a combination of conventional “low-temperature” and novel “high-temperature” superconductors, the “32 T” will allow physicists studying materials to explore how electrons interact with each other and their atomic environment, enabling new devices that will shape our world. 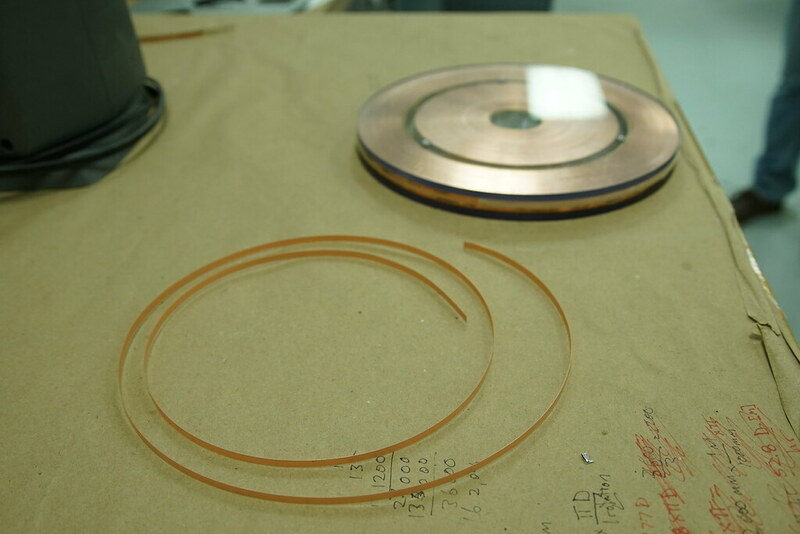 The 32 T’s two YBCO coils before being integrated with the low-temperature outer magnet. “We’re on a roll,” said Boebinger. Superconductors are materials that conduct electricity with perfect efficiency (unlike copper, in which electrons encounter lots of friction). So-called “low-temperature” superconductors, discovered a century ago, work only in extremely cold environments and generally stop working inside magnetic fields higher than about 25 teslas. That constraint has limited the strength of superconducting magnets. The 32 T is lowered into its cryostat, which keeps the instrument at a very cold operating temperature. The 32 T was built using low-temperature superconductors made by industry partner Oxford Instruments and a high-temperature superconductor called YBCO, composed of yttrium, barium, copper and oxygen, made by SuperPower Inc. MagLab scientists and engineers worked for years to develop the tricky material, which is electrically and mechanically completely different than low-temperature superconductors. New techniques had to be developed for insulating, reinforcing and de-energizing the system. For all its record-breaking impact, the 32 T is just the beginning, said MagLab engineer Huub Weijers, who oversaw its construction. "We've opened up an enormous new realm," said Weijers. "I don't know what that limit is, but it's beyond 100 teslas. The required materials exist. It's just technology and dollars that are between us and 100 teslas." 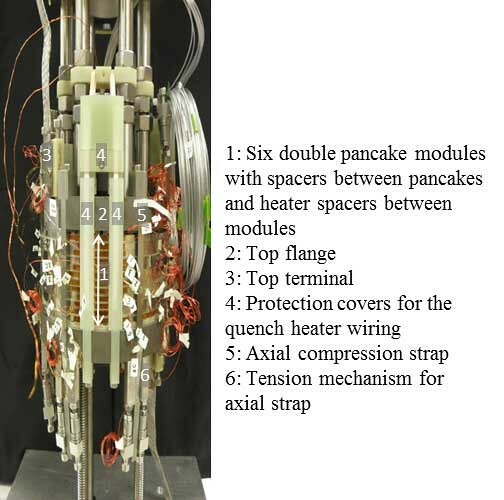 Eight years in the making, the new instrument is expected to be available to visiting scientists in the next year. As with all magnets at the lab, scientists from across the world can apply to use it to explore new physics, chemistry and biology related to materials, health and energy. 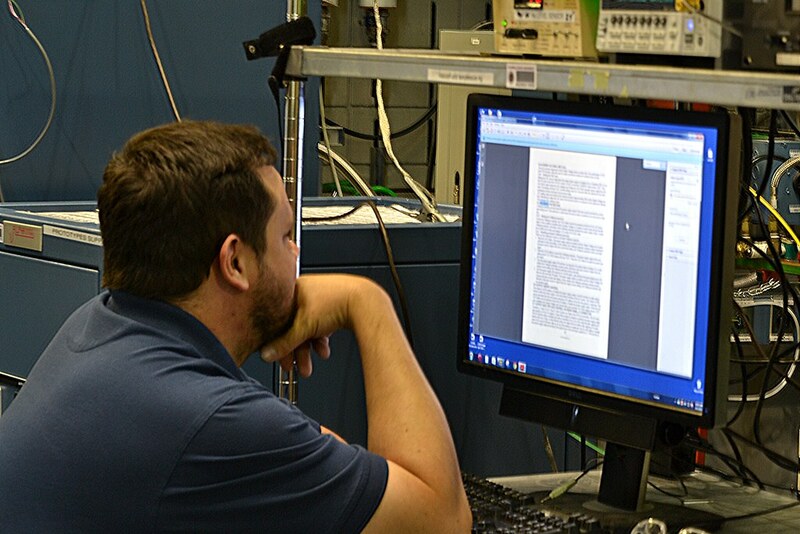 Through funding provided by the National Science Foundation and the State of Florida, researchers are able to do their experiments here for free. Scientists interested in learning more about the 32 T’s capabilities or applying to use it should contact DC Field Facility Director Tim Murphy. Read more about the role of Oxford Instruments in the buidling of this magnet. MagLab engineer Huub Weijers discusses the new world-record all-superconducing 32-tesla magnet. Sample of YBCO coil. Sample of YBCO coil. YBCO test coil. YBCO test coil. Prototype YBCO Coil, with legend. Prototype YBCO Coil, with legend. Testing of the coil. Testing of the coil. Winding of the coil. Winding of the coil. Working on the coil. Working on the coil. The National High Magnetic Field Laboratory is the world’s largest and highest-powered magnet facility. 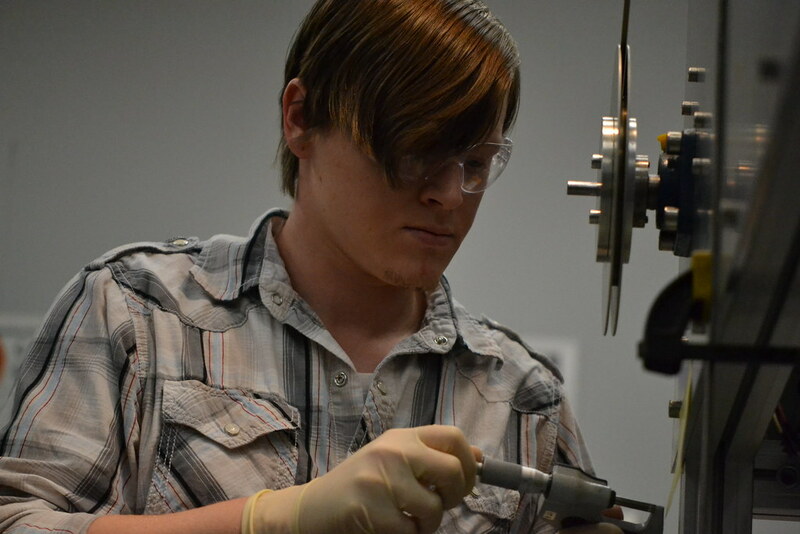 Located at Florida State University, the University of Florida and Los Alamos National Laboratory, the interdisciplinary National MagLab hosts scientists from around the world to perform basic research in high magnetic fields, advancing our understanding of materials, energy and life. 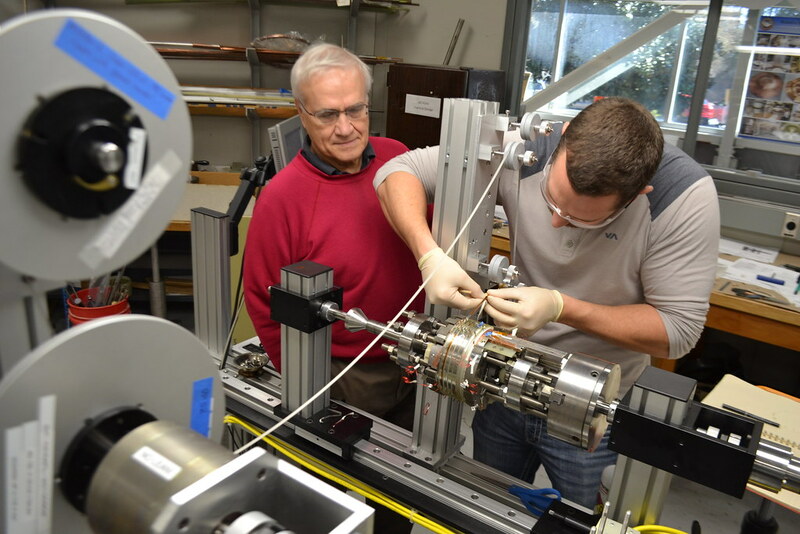 The 32 T project received funding from the Major Research Instrumentation program of the U.S. National Science Foundation (NSF) via grant DMR-0923070. The National MagLab is supported by the NSF (grants DMR-0654118 and DMR-1157490) and the State of Florida. For more information, visit us online at nationalmaglab.org or follow us on Facebook, Twitter, Instagram and Pinterest at NationalMagLab.